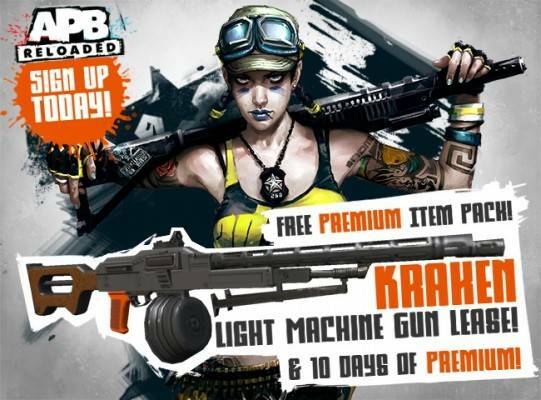 F2p.com is teaming up today with Gamersfirst (Reloaded Productions Ltd), to offer you an exclusive free Kraken packs giveaway with 10 days of premium included for APB Reloaded. Step 3. Create a new account for APB Reloaded on the official site between 2013-10-30 and 2019-01-01 (midnight UTC) in order to redeem this code.